Drumroots is based on the drumming traditions of West Africa – especially Guinea, where many of their members have studied under celebrated drumming masters. The rhythmic traditions of Guinea are derived from the highly cultured and musical Mandeng people, who have influenced musical traditions throughout West Africa. Their drumming lessons and workshops are based on well established traditional West African drumbeats and rhythmic patterns, but these are highly flexible so as to accommodate virtually unlimited personal interpretation and freedom of expression. 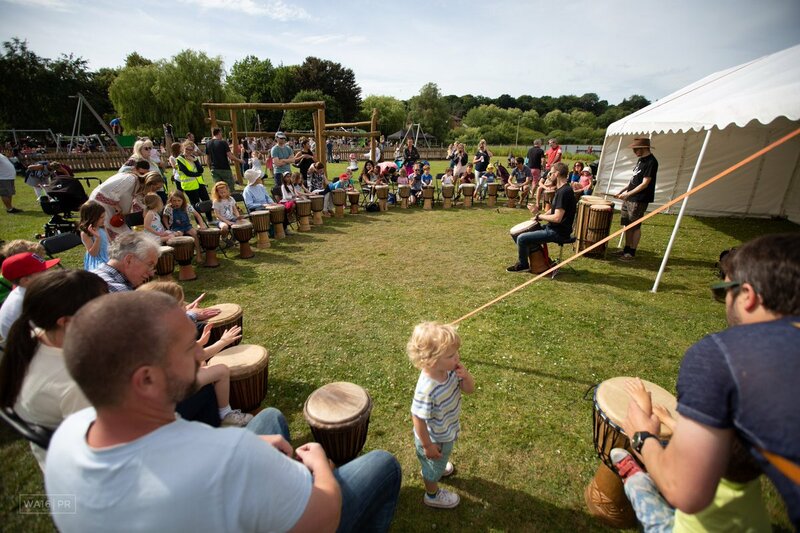 This allows drummers of all ages and abilities to create a valid and attractive individual sound, whilst also playing an integral part in the drumming group. Their workshops and performances are frequently enhanced by their own dancers, as well as guest dancers and drummers from West Africa. You can find out more info about Drumroots by finding them on Facebook or visiting their website.